After a season long battle with James Fleming, Jake Byrne add’s his name to the Ginetta Junior Ireland history books by becoming the 2012 Ginetta Junior Ireland Champion. With seven wins this season including two double victory weekends in Kirkistown, a circuit Jake established himself as somewhat an expert, Byrne certainly showed his experience gained from the last two seasons gave him the upper hand in securing the title. However credit must also go to James Fleming who after round four was tied at the top of the standings with Byrne and certainly didn’t make the early part of the season easy for him. However some mid-season bad luck hurt the young Dubliner’s title challenge and allowed Byrne to open an advantage at the head of the field he would never loose. As ever thanks to the support of Laurence Tomlinson and his fantastic Ginetta operation, Jake has secured himself a test with Speedworks Motorsport in a current Toyota Avensis British Touring Car later this season as part of his prize for winning the championship. The second part of his prize awards Jake the use of a Ginetta G40 in the 2013 Total Quartz Ginetta GT5 Challenge in the UK, a series which supports the British GT & Formula 3 Championship. The 2012 Ginetta Junior Ireland championship would not have been possible without the support of our championship supporters who include: TheGrid.ie, gearboxman.com, Quaife Engineering, Mondello Park and Michelin Tyres. 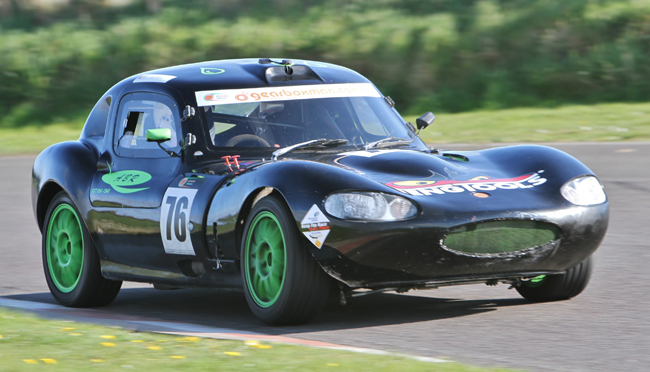 For information on taking part in the 2013 Ginetta Junior Ireland Championship, please contact us through our website http://www.ginettajuniorireland.com for further information.